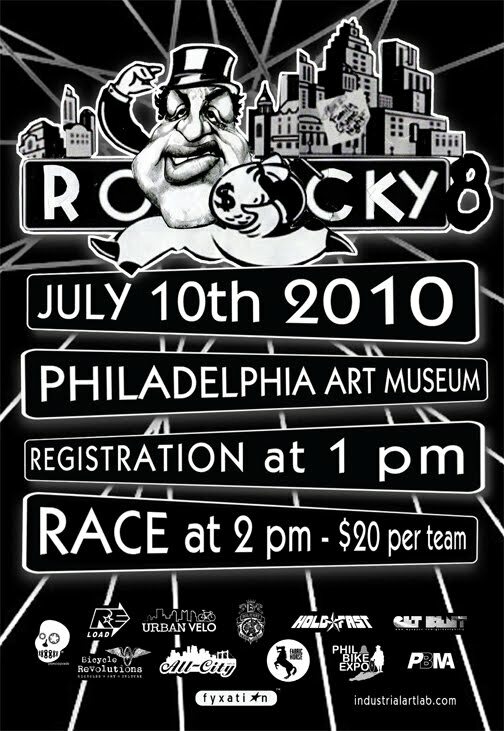 Philadelphia Bicycle Messenger Association (PBMA) is putting on the Rocky 8 Messenger Race on Saturday, July 10th at 2pm. 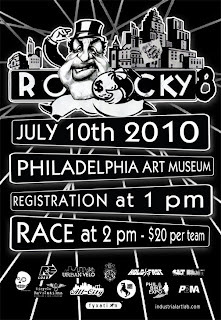 Rocky 8 is a 2 person relay race where one team member runs up the famous steps of the Philly art museum just like old Sly Stallone did in Rocky while the other rides on a course all over town. Winner gets bragging rights. Team entry is $20 and registration is at 1pm.